Your fixed rate mortgage is one of the biggest financial commitments you’ll make in your entire life. Whatever you lock in for your monthly payment, you could be paying for 10, 20, maybe even 30 years straight. Even a small improvement in your loan terms can save you thousands in dollars over the course of the mortgage. 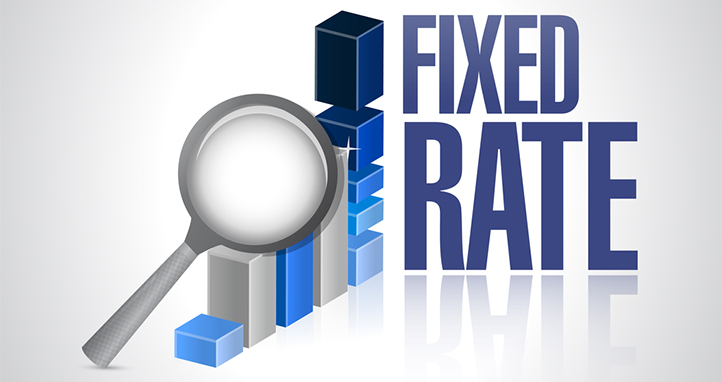 There are a few strategies you can use to find the very best fixed rate mortgage for your new home. Before you meet with lenders, make sure you’ve done everything you can to give yourself the best chance of qualifying for a good rate. First, try to give your credit score a boost over the few months before you apply. You can do this by paying down credit card debt, not opening any new accounts, and definitely never missing any monthly payments on your other loans and credit cards. When you’re getting ready to meet with lenders, gather all your income and financial information together ahead of time. Be sure to bring more than just your regular paystubs. If you occasionally receive bonuses or overtime pay, bring proof of this as well. If you own any other assets, including retirement accounts, this is also good to reveal to your lender. All this information makes you look like a stronger candidate for a loan. Don’t accept the first offer you receive for your fixed rate mortgage. There is a large market of banks and other lenders looking for your business. Take the time to get a few quotes and see if any company comes through with a better offer. One effective strategy is to work with a mortgage broker. This professional can contact multiple companies on your behalf so you can collect multiple quotes without putting in a ton of effort. Once you’ve narrowed down a lender and are closing on a deal, ask one more time for their best mortgage rate. Some companies are willing to give a better deal than what they advertise to the public. You have to ask though or you’ll never know. This is a good time to bring up that you’ve been researching multiple lenders. With this play, the bank might come through with their best fixed rate mortgage just to close your business. If you’ve put in all this work and still aren’t thrilled with the rate you receive, remember you aren’t locked in forever. After a few years, you can refinance your mortgage at a new rate. This way you can still buy your dream home and work on your financial situation. After a few more years of building credit and growing your income, you can refinance and will most likely qualify for a better rate. While finding the best fixed rate mortgage will take some work, it will pay off big-time when you qualify for a lower monthly payment. Keep these strategies in mind and you’ll give yourself the best shot at finding a deal on your mortgage.